Looking for Canadian tax, bookkeeping or accounting services? 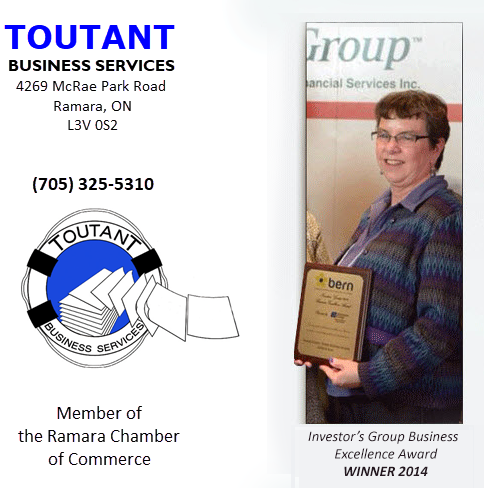 I’m Pamela Toutant, of Toutant Business Services. 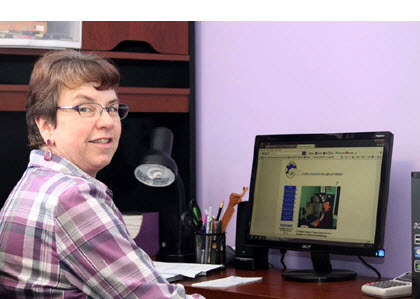 I specialize in tax returns and troubleshooting, bookkeeping and in-office administrative support. There is nothing I love better than seeing you transform from frazzled and overworked to relieved and stress-free. Do you have better things to do than bookkeeping and tax prep? Drowning in a sea of paper and unbillable administrative work? Embarrassed by receipts stuffed into every orifice of your truck? Do your staffing needs fluctuate due to seasonal demand? Too much work for one person but not enough for two? If you answered YES to any or all of the above, I know I will be able to help you in a cost-effective, friendly, up-front manner. Big or small, TBS serves you all! My office or yours — I will travel within a seventy-mile radius of Orillia. If you live outside that zone, I am happy to help you virtually, online.